The Pit Within | No Chic. Just Geek. I nearly didn’t write this. 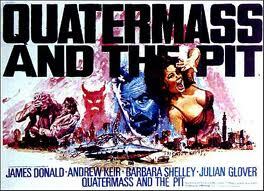 I sat down and watched Quatermass and the Pit (1968) last night, but not specifically with an eye to reviewing it – this is one of those films I sit down and view simply for pleasure at least once every couple of years, and I find it always, always rewards me. 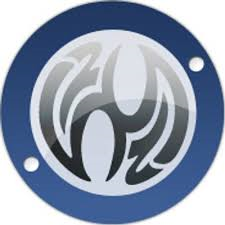 But then – with the return of the Hammer brand imminent – I read yet another article discussing the Hammer movies of old, with particular reference to how kitsch and camp they are. The story unfolds lucidly and logically, managing to fuse strong SF ideas with classic horror imagery along the way. And it grows in scale, from a simple, if unsettling mystery, to a climax in which London itself is virtually laid waste and the future direction of human development is at stake. The tone throughout is defiantly naturalistic, as are the performances. Alongside Hammer stalwarts Keir and Barbara Shelley are James Donald and Julian Glover, and they pitch it perfectly, directed by the recently-departed Roy Ward Baker. I was all set to pass over a more detailed look at Nigel Kneale’s script, on the grounds that it’s all been said before and better, but I suppose there is just a chance that someone reading this may not be familiar with his work, so here goes. It seems to me than in addition to being a visionary and a major figure in UK drama from the 50s onwards, Kneale was a misanthrope. Even on those occasions when his scripts conclude with a happy ending and calamity averted, one still gets the sense that the darker side of human nature has been thrown into unflattering focus, and the price of survival is a deeper understanding of our own essential evil. The other major theme of Kneale’s later work is the use of classic Gothic tropes and structures to tell explicitly SF-themed stories – or, to put it another way, the use of SF rationales to ground Gothic horror stories. 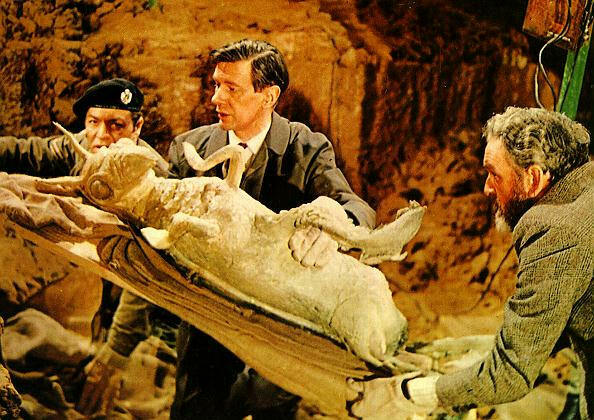 Quatermass and the Pit is about an eruption of ancient, demonic evil into the modern world, culminating in the malign possession of an entire city – but it’s also about the legacy of an attempt at a colonisation of prehistoric Earth by insectoid Martians. The two readings mesh seamlessly, and – tying into Kneale’s view of humanity – include a bleak metaphor and explanation for our self-destructiveness and viciousness to one another. One thing I’ve never seen written about this movie in the past is the way it echoes the work of another very famous 20th century horror writer, H P Lovecraft. (Kneale would probably have abominated such a comparison.) But to me Lovecraft’s cosmic horror stories seem motivated by a deep discomfort with the ramifications of the discoveries of modern science, with humanity little more than evolved apes in a soulless and unguided universe. There seems to be a similar disquiet about our origins in Quatermass and the Pit, and while Kneale’s Old Ones are Martian insects rather than Lovecraft’s extravagant obscenities, they have something of the same baleful aura. Cor, this has got a bit deep and heavy, hasn’t it? I have to say that if any of the classic Hammer movies deserve it, it’s this one, not just the best SF movie the studio ever produced, but quite possibly also the best movie overall. Quite simply an essential watch.